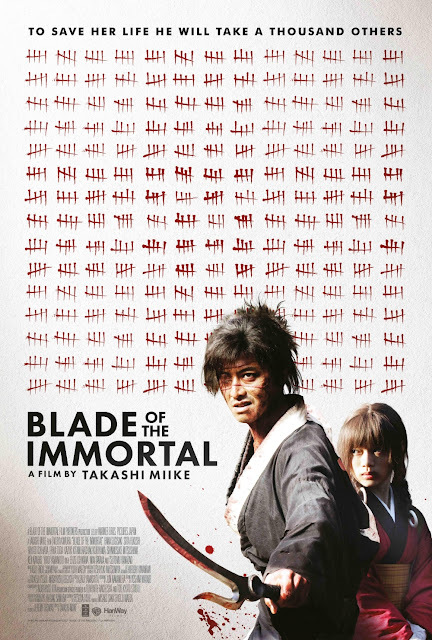 Takashi Miike's 100th film Blade of the Immortal reveals a director in no danger of slowing down, and certainly not easing off on the bloodshed. Based on the manga series by Hiroaki Samura, this is even bigger, bloodier and better than Miike's recent 13 Assassins. Read the rest of my review here. And while you're here, how good is that poster above?